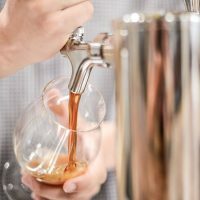 Whether you own a kegerator, are building a home draft system, or simply want to know what’s going on behind the scenes when the bartender pulls a pint of your favorite IPA, it’s nice to understand how beer gets into your glass. 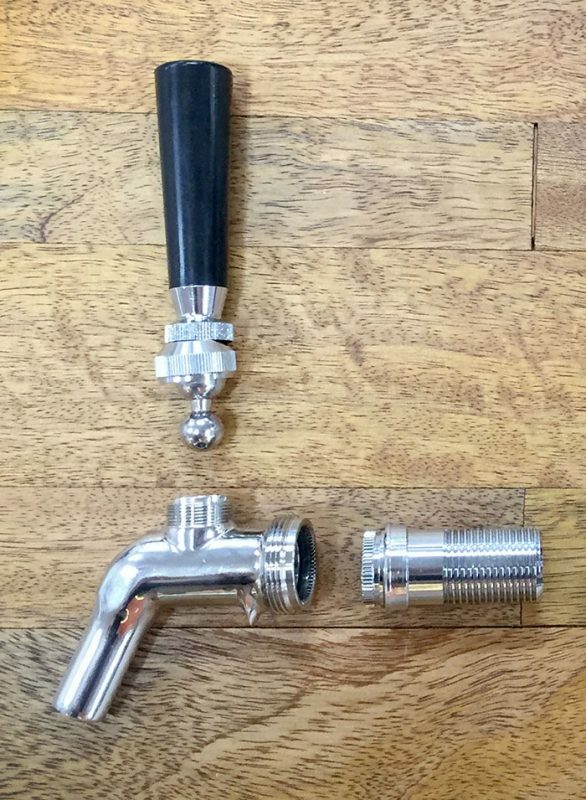 So we’ve broken a typical beer faucet into its component pieces to show you how the magic happens. Faucet body: Fundamentally, this is just a curved piece of metal—stainless steel in this example—that directs the flow of beer into an awaiting piece of stylistically appropriate glassware. At the upstream end, an external thread pattern matches the inner threads on the coupling nut (4) that, when tightened, pulls the faucet against the shank (3). A circumferential series of teeth mates with an opposing set of teeth on the downstream end of the shank to keep the faucet from freely rotating. Shank: The shank is a thick, cylindrical chunk of metal with a thread pattern (7/8″-14) on the outside and a bore through the middle. 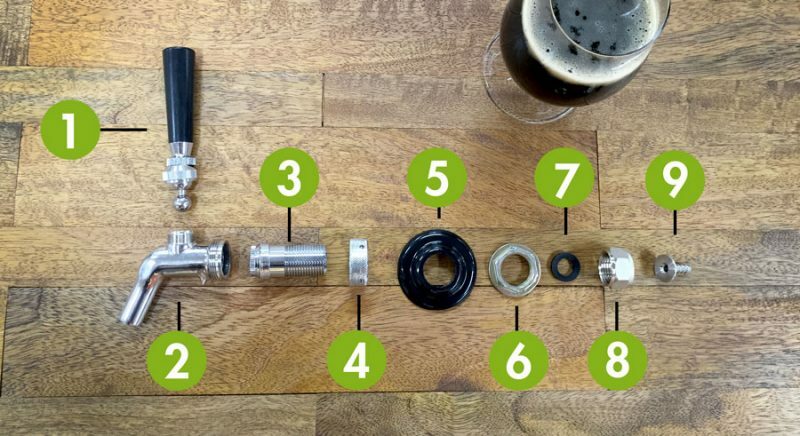 Beer travels through the bore, and the external threads accept a lock nut (6) that keeps everything securely in place. The shank is what connects the room temperature outside world to the refrigerated inner sanctum of keg storage. Shanks come in varying lengths to accommodate everything from the thin shell of a draft tower to the thickest of walk-in cooler walls. 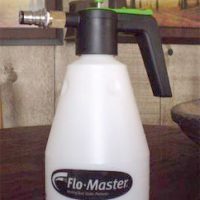 The inner bore diameter of 1/4″ or 3/16″ should match the hose barb diameter of the tail piece (9). The downstream end of a shank may include a small sleeve. Coupling nut: This holey little ring-shaped widget mates with the thread pattern at the upstream end of the faucet body (2) and ensures a tight seal between the faucet and the shank (3). Tightening and loosening a coupling nut is best achieved using a special faucet wrench. They cost all of about three bucks, and they’ll keep that shiny metal from getting scratched. Flange: The flange is typically black plastic, but stainless models are also available. It’s more or less a cosmetic piece that hides the inner workings of the shank (3) and makes it all look nice and tidy. It also has the added benefit of keep the whole thing from falling backward into the refrigerator or draft tower. Lock nut: This flanged hex nut matches the threads (7/8″-14) on the shank (3) and, when tightened, keeps the shank from falling forward through the wall or draft tower. The lock nut is best loosened and tightened with a 1-3/16″ wrench. Washer: A small rubber washer creates a tight seal between the business end of the shank (3) and upstream components (8 and 9). 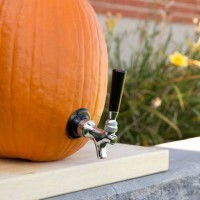 So there you have it—the inner mysteries of the beer faucet revealed. 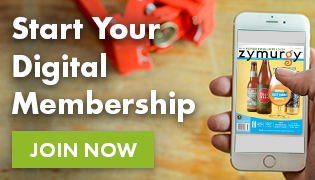 Armed with this basic knowledge and a couple of wrenches, you have everything you need to assemble and disassemble your own faucet. Cheers to that! Dave Carpenter is editor-in-chief of Zymurgy magazine and author of The Illustrated Guide to Homebrewing. He is an avid homebrewer, an inquisitive traveler, and, despite his surname, an ineffectual woodworker. Dave lives in Fort Collins, Colorado, with his wife, two cats, and countless unfinished projects.